The Verona Wildcats Freshman outlasted Memorial on Thursday after seven lead changes, squeaking out a 4-3 win at BRMS. The Verona Wildcats Freshman finally managed to grab the lead after a strong eighth inning. The Verona Wildcats Freshman went up for good on an RBI single by Ryan Van Handel off #9, scoring Erik Ehlenbach. The Verona Wildcats Freshman held off Memorial, as Memorial was unable to overcome a two-run eighth inning deficit. Unfortunately, Memorial wasn’t able to take the lead back. Memorial jumped out to an early 1-0 lead in the top of the first. The Memorial attack began with a single from #9. A single by #12 then moved #9 from first to second. After posting one run in the fifth, Memorial again scored one in the seventh. In the fifth, Memorial scored on an RBI single by #12, plating #6. The Verona Wildcats Freshman survived Memorial’s surge and put up one run of their own in the fifth. The Verona Wildcats Freshman scored on a wild pitch. The Verona Wildcats Freshman brought home one run in the sixth inning, and matched that run total in the eighth. In the sixth, the Verona Wildcats Freshman scored on an RBI double by Van Handel, scoring Ehlenbach. The Verona Wildcats Freshman fell to Waunakee 10-5 at BRMS. Waunakee ‘s Michael Saxby, Sawyer Maly, Joshua Block and Dane Luebke combined for nine hits and seven RBIs. The top of the first saw Waunakee take an early lead, 3-0. A double by Block, plating Austin Keller started the inning off. Waunakee added more runs when Luebke and Fueger scored on a two-run double by Saxby. Waunakee put up one run in each of the third, fourth and sixth. In the third, Waunakee scored on an RBI single by Luebke, scoring Maly. The Verona Wildcats Freshman answered Waunakee ‘s top inning with four runs of their own in the third. The Verona Wildcats Freshman scored on a wild pitch, an RBI double by Nate Waller, a wild pitch, and an RBI single by Sam Pederson. Waunakee built upon its lead with four runs in the seventh. A error scored Jacob Dettor for the inning’s first run. That was followed up by Block’s double, scoring Maly and Keller. The Verona Wildcats Freshman jumped out to an early lead on La Follette and captured a 16-1 victory on Thursday at La Follette. With 12 runs in the first three innings, the Verona Wildcats Freshman left no doubt about the eventual outcome. 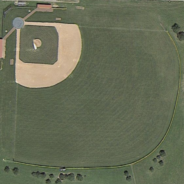 An error and an error during the first inning and an RBI single by Wes Haessig, an error, a sacrifice fly by Patrick Lewis, a fielder’s choice, a passed ball, , a wild pitch, and an error in the second inning supplied the early offense for the Verona Wildcats Freshman. Lewis racked up three RBIs on two hits for the Verona Wildcats Freshman. La Follette couldn’t get anything going as long as Conner Hoyer was on the bump. Hoyer gave up just three hits, allowed no earned runs, walked two and struck out five during his three innings of work. 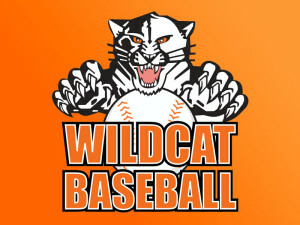 Jake Coshun’s walk-off wild pitch off of Jaron Coleman boosted the Verona Wildcats Freshman to a 5-4 win over Beloit at BRMS on Monday. Jake Coshun was hot from the plate for the Verona Wildcats Freshman. Jake Coshun went 2-4. He singled in the sixth and seventh innings. The Verona Wildcats Freshman were led by Nate Waller’s hitting. Waller went 3-5 and scored two runs. He doubled in the third inning and singled in the first and seventh innings. Jonah Haffner pitched lights out for the Verona Wildcats Freshman. Haffner held Beloit hitless over three innings, allowed no earned runs, walked two and struck out four. The Verona Wildcats Freshman jumped out to an early 1-0 lead in the bottom of the second. The Verona Wildcats Freshman put up one run in each of the third, fifth, seventh, and ninth. In the third, the Verona Wildcats Freshman scored on an RBI double by Jake Osiecki, bringing home Waller. The Verona Wildcats Freshman scored on a sacrifice fly by Sam Pederson. 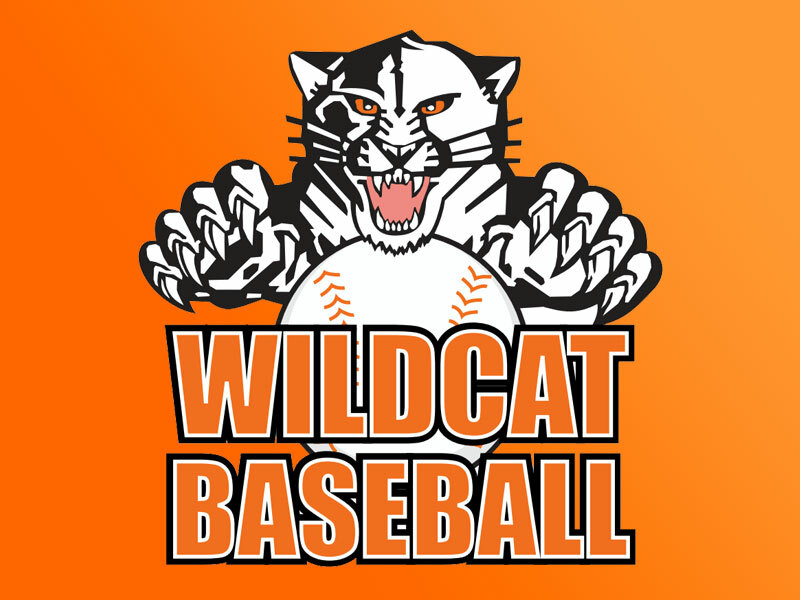 The Verona Wildcats Freshman and Middleton passed the lead back and forth six times on Thursday at Middleton, but in the end the Verona Wildcats Freshman pulled out a 9-6 win in seven innings over Middleton . The Verona Wildcats Freshman took the lead in the seventh inning and held on for the victory. The Verona Wildcats Freshman went up for good on a two-run double by Connor Grossnickle off Mikey Nutting, plating Jake Osiecki and Conner Hoyer. The Verona Wildcats Freshman were led by Michael Fischer’s hitting. Fischer went 3-4 and scored two runs. He doubled in the fifth inning and singled in the sixth and seventh innings. Four relief pitchers didn’t loosen their grasp on the win as they finished off the game for the Verona Wildcats Freshman. Jake Coshun faced eight batters in relief, while Torin Gentile managed to record three outs to aid the victory. The bottom of the first saw Middleton take an early lead, 2-0. A double by Jack Logsdon, bringing home Collin Serra started the inning off. Middleton added more runs when Logsdon scored on a groundout by Cooper Holewinski. The Verona Wildcats Freshman brought home two runs in the fourth inning, and matched that run total in the fifth. In the fourth, the Verona Wildcats Freshman scored on an error, scoring Jake Osiecki. The Verona Wildcats Freshman fell 14-1 to West at BRMS on Tuesday. Jacob Rosenberg, Luke Treiber, Atley Jacome and Max Hanson helped lead West. They combined for six hits and five RBIs. The game’s last lead went to West thanks to a first inning rally that saw three runs cross the plate on an RBI double by Jacob Rosenberg and two singles. The lone run of the game for the Verona Wildcats Freshman crossed the plate in the first inning on an RBI single by Ryan Van Handel. West built upon its lead with seven runs in the fifth. Jaden Weiss’s double got things going, bringing home Jacome.